Great for training and ideal as casualwear, treat your child to these Canterbury Open Hem Kids Stadium Pants in Black. 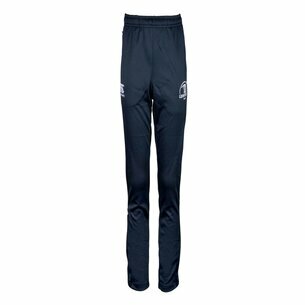 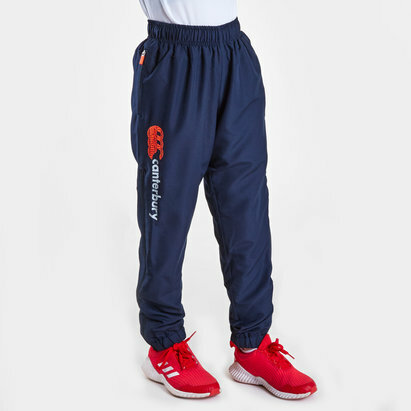 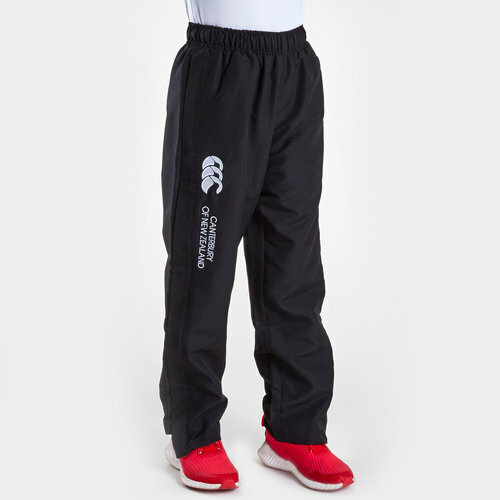 Designed by rugby clothing and equipment specialists, Canterbury, these children's track pants have an elasticated waistline with an adjustable drawstring for a secure and comfortable fit as well as zipped pockets for safely storing essentials. 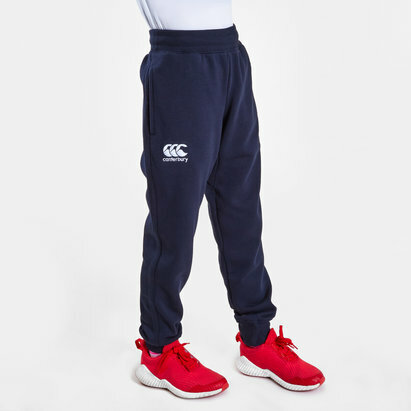 Made from a polyester and cotton mix, these kids tracksuit bottoms have a soft interior lining for additional comfort and warmth. 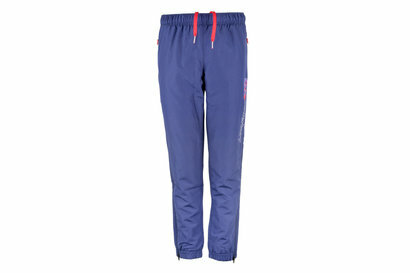 The hem of the legs are also zipped and can be undone for more ventilation and a more relaxed look. 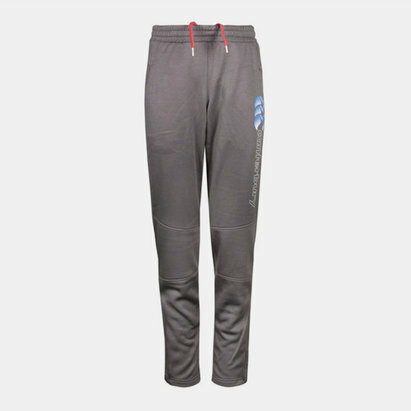 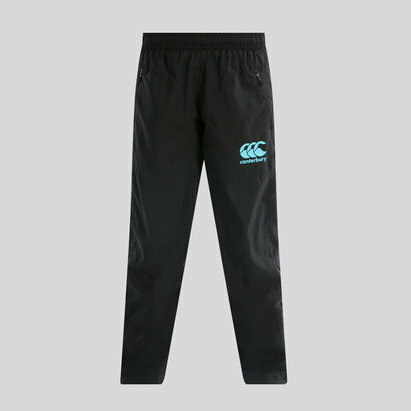 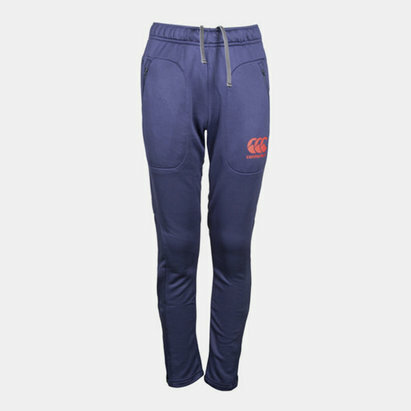 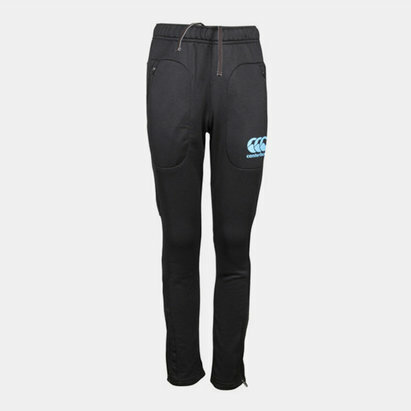 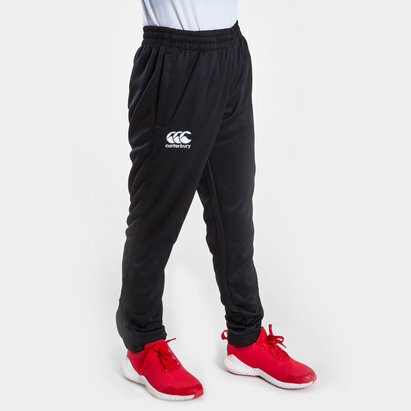 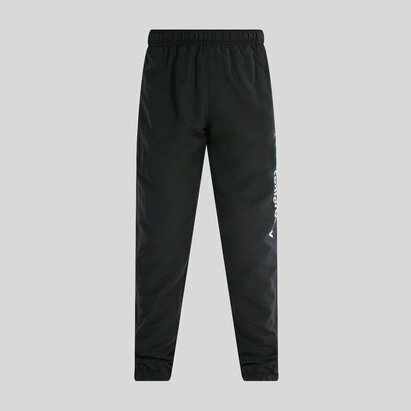 Suitable for rugby training or just for chilling out in, young players will appreciate the comfiness of these Canterbury Open Hem Kids Stadium Pants.